Irish dance studio based in Bergvliet, Cape Town. We teach Irish modern tap and hip-hop. Professional tuition in a bright private studio equipped with sprung floor and ballet mats, mirrors and bares. Lockers to store your dance bags and shoes. Irish dance studio based in Durbanville & Parklands – contact teacher Wendy Mays for more details. 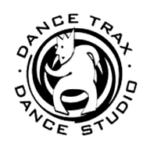 Dance teachers – Taryn Harkness and Elaine Bestery. Based in Wynberg & Plumstead. The Duncan Studio of Celtic Dance, established by Sue Theron 24 years ago, brings Irish and Highland dancing to life. Renowned for her dedication to these dance forms, Sue runs classes throughout the week from her studio in Paulshof, Gauteng providing formal training to dancers of all age groups and genders.